-- Fresh production with high quality standards and musical structures crafted for sync. --Featuring a measured number of instruments to keep a pure, direct and no-frills approach. 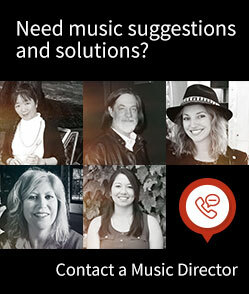 --Renowned composers and established live and studio musicians. --Distinctive at first glance, with minimalist and striking covers, this label is built around 5 major themes: Electronic and urban tracks / Neoclassical and orchestral music / Pop, rock and folk / Neo vintage / World music.